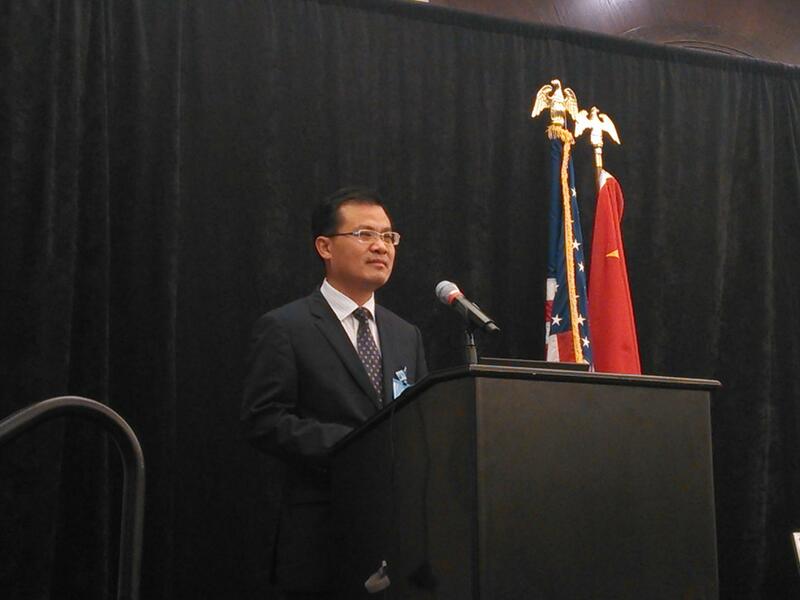 On September 9, Chinese Consul General to Chicago Zhao Weiping made remarks at Ningbo-Milwaukee Economic and Trade Cooperation Conference in Milwaukee, Wisconsin. Deputy Mayor of the city of Ningbo Wang Jianhou, Mayor of the city of Milwaukee Tom Barrett and almost 200 representatives of business community from this two cities attend the event. In his remarks, Consul General Zhao extended his warmes congratulations on the opening of Ningbo-Milwaukee Economic and Trade Cooperation Conference. He said that since the establishment of friendly relationship between Ningbo and Milwaukee in 2006, the governments and business community of this two cities have been keeping frequent contacts and vigorously promoting bilateral pragmatic cooperation in a wide range of areas. This conference fully reflects the strong desires from both sides to further develop the friendly relationship of the two cities and provides an important opportunity for their enterprises to connect with each other.